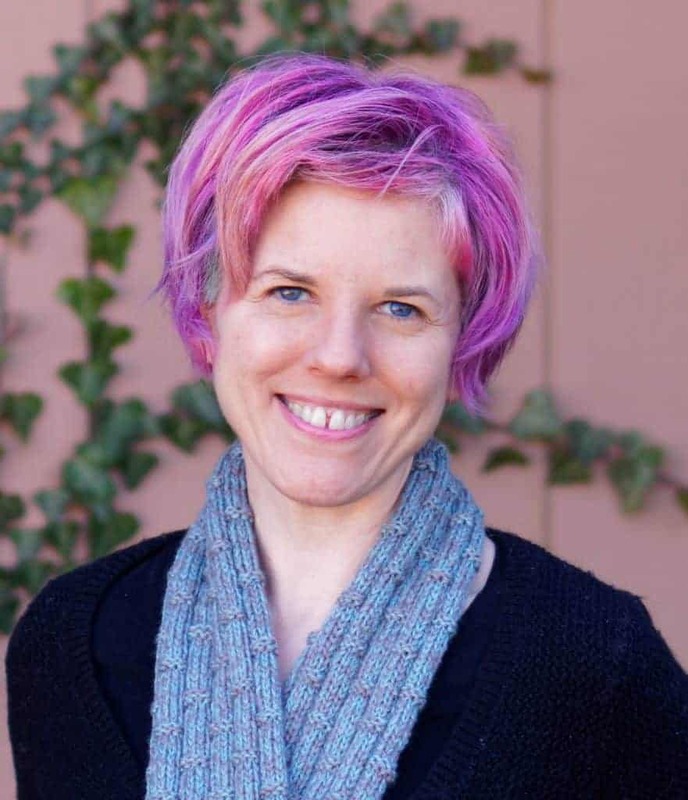 Amanda Dickinson visited my church prayer shawl group recently with a story to share. She shared with us the story of her second child, Kaleb, who had to be born entirely too soon because of a heart defect. She told us how consumed with worry and fear she had been. And she also told us how her birth experience was one hundred percent different than the one she had experienced with her firstborn. Amanda said she found herself wishing that she could give every other family new to the NICU a hug, because she knew just how it felt. She said she could read their expressions and remember exactly what it was like to be a new mom in an intimidating environment. Devoid of congratulations and excitement, the NICU felt like an alternative universe. Mighty Miracles’ mission is to reach out to families of preemies who are plunged into this strange new world. 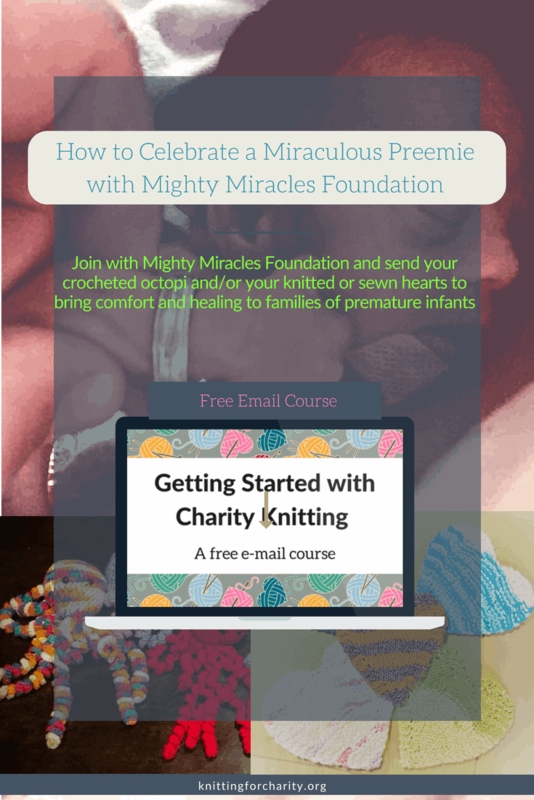 They offer two freebies for preemie families: Mighty Miracles Care Packages and Mighty Miracles NICU Graduation Keepsakes. 1) The World of the NICU. This book introduces preemie parents to the NICU so that they can better navigate it. It also offers space for documenting the preemie’s progress and organizing for life after the NICU. 2) A children’s book, for reading times to allow parents to bond with their preemie. 3) Bonding hearts. These also allow parents to bond with their preemies. The hearts are worn close to parents’ skin, so their scent is transferred. Then the heart is taken to the preemies so that they can feel their parents’ presence even in their absence. The heart can also be taken back to the mother for aid in lactation. 6) Finally, artwork for the NICU room, to give the space a more home-y feeling. This artwork is laminated to allow for cleaning and sanitization. And it can be placed around the preemie’s isolette or anywhere else within the NICU space. 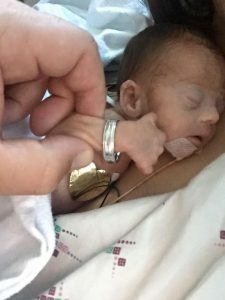 Mighty Miracles NICU Graduation Keepsakes offer a joyous way for preemie families to celebrate their preemies’ homecoming. It includes a “graduation certificate” and a My NICU Family print. The latter offers space for anyone involved in the preemie’s time in the NICU to sign. Finally, Mighty Miracles also offers NICU Octopi for $10 donations (you can read more about these octopi here). It also offers Deluxe packages for $35 donations. There are many ways that you can help the Mighty Miracles mission! 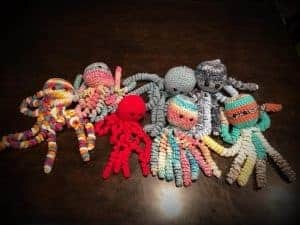 First, if you are a crocheter, you can create NICU octopi. You’ll find a link to the pattern on this page. 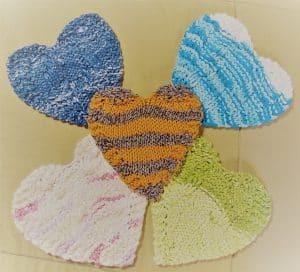 If you sew or knit, you can also create bonding hearts. For the fabric bonding hearts, you can visit the link above for the sewing pattern. To knit a bonding heart, I recommend you use either this pattern – the Hugs and Kisses Heart – or one of the two versions of this pattern I created, which you can find on this page! My versions simply remove the cabling of the original pattern. The first version has more texture, while the second uses mostly simple stockinette for a smoother surface. All three patterns are free! Be sure to spread the word to your knitting, sewing, crocheting, and even your non-crafting friends. After all, Mighty Miracles can always use donations! It’s a registered nonprofit, so all donations are tax-deductible. The Get Involved page also will show you where you can ship your completed octopi and/or bonding hearts. This is the first time I’ve ever been able to meet a charity director in person, and it was one of the most touching and exciting experiences of my life. I’ve been knitting hearts like crazy! Amanda told us that she needs lots and lots of bonding hearts. So I hope all my knitting and sewing friends will be excited and eager to take part in this fabulous charity!